Colorado Springs Spinal decompression therapy is a non-surgical traction based treatment for herniated or bulging discs in the neck and lower back. If you have been diagnosed with any of the above symptoms, or you are experiencing any of the above, call to arrange your free exam and two free treatments. Bring your X-rays and MRI, if you already have one. An MRI is the best way to look at the spine and determine if spinal decompression is a viable option for you, because while discs are shown on the MRI, they do not show up on an X-ray. Anyone who has back, neck, arm or leg pain may be a candidate to be helped by spinal decompression therapy. We offer a risk-free, no obligation exam and consultation with one of our certified spinal decompression doctors to see if you qualify for treatment. If you do, we will gift you 1 FREE treatment as well. We say "qualify," because while spinal decompression has proven to be an amazing treatment for many conditions, it is not for everyone. Our doctors are all certified in spinal decompression and our specific table and techniques, and you'll find our treatment to be up to 85% less expensive than other Colorado Springs back doctors and Colorado Springs Chiropractor(s). Traction is the literal language for what happens during a treatment and decompression is the metaphorical. 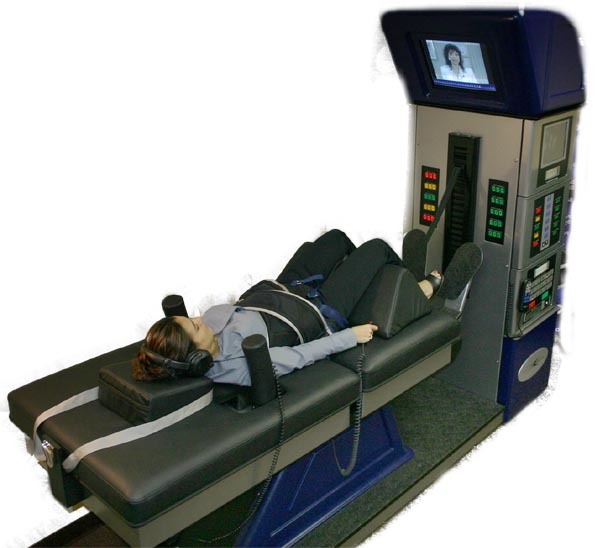 This is the DRX9000 spinal decompression table. You may have seen this advertised. We chose against this table due to its limited functionality (notice the patient can only lay flat on the table) and the manufacturers many legal entanglements (they no longer manufacture tables). 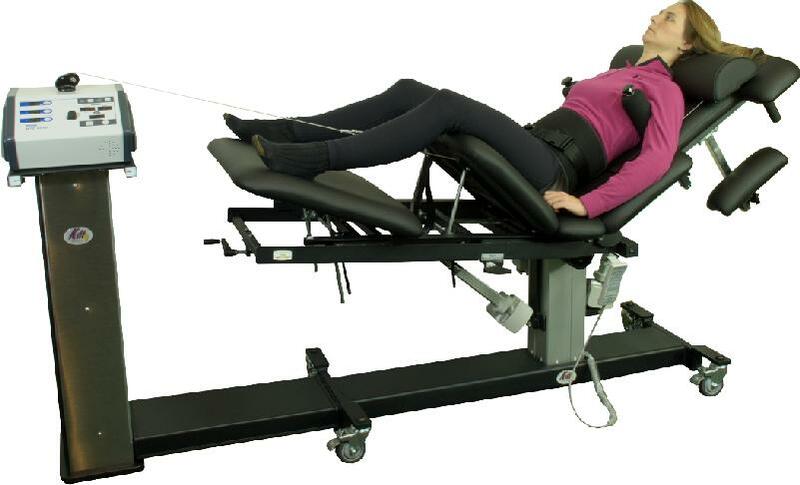 This is the spinal decompression table we chose after 6 months of research and interviews. It is the best decompression table on the market. Notice that the patient can be put in many different positions. We treat both the lumbar and cervical spine. 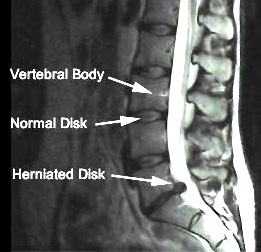 MRI of a herniated disc, also known as a "hot," "slipped," or "bulging" disc.